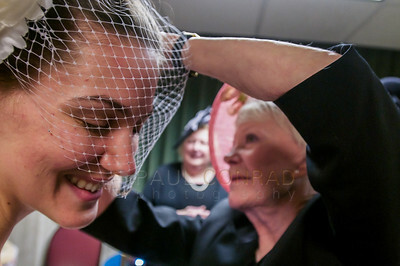 Arlene's Original Designs owner Arlene Cano, right, adjusts a hat bride-to-be Katja Gottbrecht of Bellingham, Wash., tries on during the 22nd annual Bridal Inspirations Wedding Expo at Lakeway Inn in Bellingham, on Sunday afternoon Jan. 4, 2015. Cano says she is inspired to create hats that Princess Kate Middleton wears and all are made from scratch. 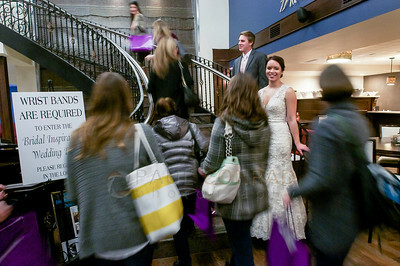 The annual bridal far brought in over 500 people to view, sample, and meet more than 50 vendors and their wares says Alicia's Bridal’s Tiffany Holden. 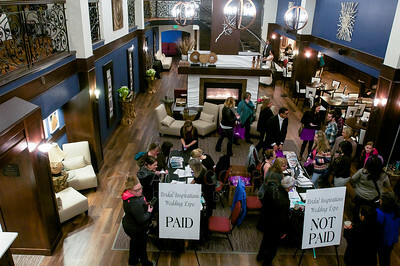 Images from the 22nd annual Bridal Inspirations Wedding Expo at Lakeway Innn in Bellingham, Wash., on Sunday afternoon Jan. 4, 2015. 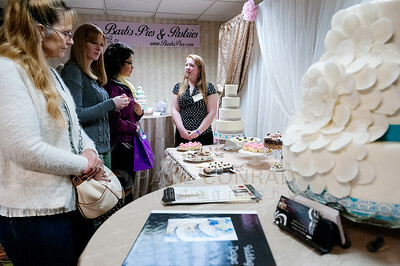 Emily Kyllingmark of Bellingham, Wash., center, with Barb’s Pies & Pastries explains to potential clients what they have to offer in cakes, pastries, and wares during the 22nd annual Bridal Inspirations Wedding Expo at Lakeway Inn in Bellingham, on Sunday afternoon Jan. 4, 2015. 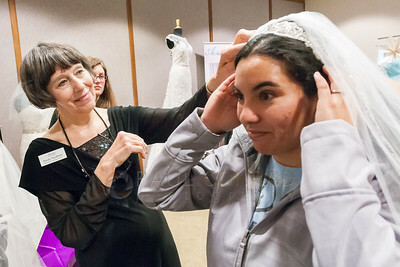 Alicia’s Bridal consultant Sandy Needham, left, helps bride-to-beCassie Aguilar of Anacortes, Wash., try on various veils during the 22nd annual Bridal Inspirations Wedding Expo at Lakeway Inn in Bellingham, on Sunday afternoon Jan. 4, 2015. 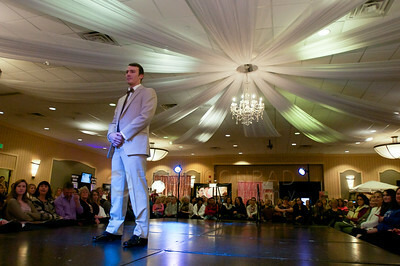 Needham says the most challenging part of running a bridal boutique is keeping up with the latest fashion trends. 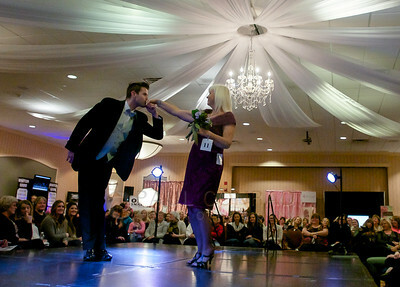 The annual event brought in over 500 people to view and sample more than 50 vendors and their wares says Tiffany Holden. 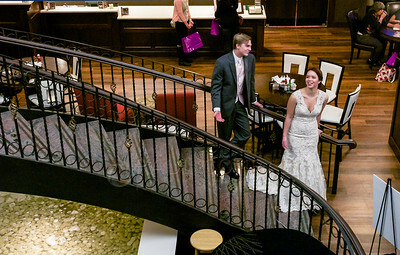 Models and greeters Ryan Hamilton of Bellingham, Wash., left, and Ilyssa Haunreiter (cq) of Bellingham wait for guests to arrive during the 22nd annual Bridal Inspirations Wedding Expo at Lakeway Inn in Bellingham, on Sunday afternoon Jan. 4, 2015. 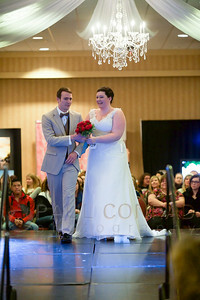 The annual bridal far brought in over 500 people to view, sample, and meet more than 50 vendors and their wares says Alicia's Bridal stylist Tiffany Holden. 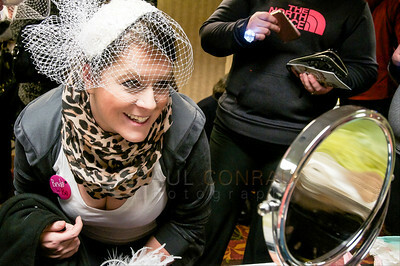 Jena Panton of Bellingham tries on a veil at the booth of Arlene's Original Designs during the 22nd annual Bridal Inspirations Wedding Expo at Lakeway Inn in Bellingham, Wash., on Sunday afternoon Jan. 4, 2015. "I think this is better than a veil," the bride-to-be says, "it's elegant and simple. 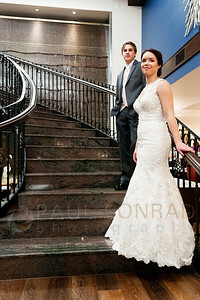 Something I'm definitely thinking of getting for my wedding." 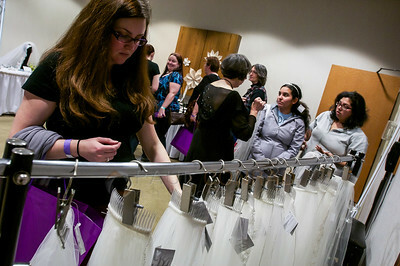 Hillary Stanton of Anacortes, Wash., examines the veils at the booth by Alicia's Bridal during the 22nd annual Bridal Inspirations Wedding Expo at Lakeway Innn in Bellingham, Wash., on Sunday afternoon Jan. 4, 2015. 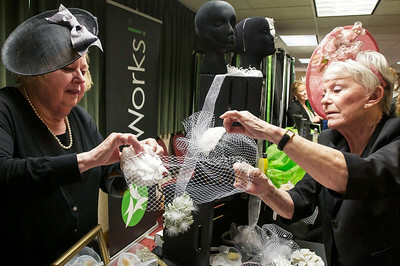 Arlene's Original Designs owner Arlene Cano, right, adjusts a hat bride-to-be Katy Gottbrecht of Bellingham, Wash., tries on during the 22nd annual Bridal Inspirations Wedding Expo at Lakeway Inn in Bellingham, on Sunday afternoon Jan. 4, 2015. Cano says she is inspired to create hats that Princess Kate Middleton wears and all are made from scratch. 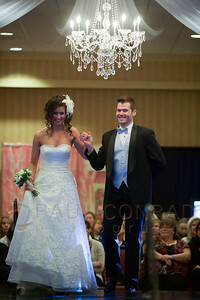 The annual bridal far brought in over 500 people to view, sample, and meet more than 50 vendors and their wares says Alicia's Bridal’s Tiffany Holden. 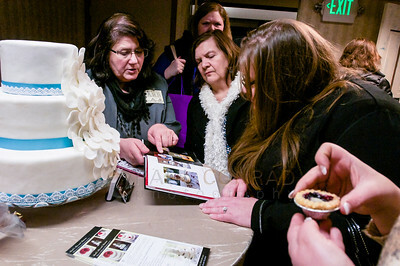 Barb O'Brine, left, owner of Barb's Pies & Pastries, shows Trudy and Pamela Ferguson samples of her cakes and baked goods during the 22nd annual Bridal Inspirations Wedding Expo at Lakeway Inn in Bellingham, Wash., on Sunday afternoon Jan. 4, 2015. 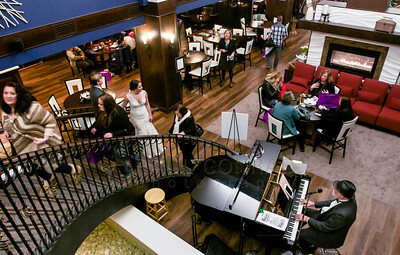 Participants work their way up the stairs to the sound of piano music during the 22nd annual Bridal Inspirations Wedding Expo at Lakeway Inn in Bellingham, on Sunday afternoon Jan. 4, 2015. The annual bridal far brought in over 500 people to view, sample, and meet more than 50 vendors and their wares says Alicia's Bridal stylist Tiffany Holden. 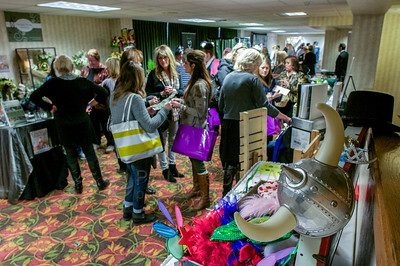 Images from the 22nd annual Bridal Inspirations Wedding Expo at Lakeway Inn in Bellingham, Wash., on Sunday afternoon Jan. 4, 2015.